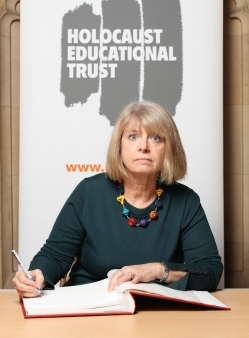 West Worcestershire MP Harriett Baldwin has joined MPs from up and down the country marking Holocaust Memorial Day in Westminster. The MP this week signed the book of remembrance at the Houses of Parliament ahead of the annual event to mark to liberation of the Auschwitz-Birkenau concentration camp in 1945. Holocaust Memorial Day is held on January 27 each year and features events run by the Holocaust Educational Trust which runs learning sessions for young people and has run many local events across West Worcestershire as well as taking pupils to see the camp. Harriett said: “Holocaust Memorial Day is an important anniversary and I try to show my support by signing the book in Westminster. “As the Holocaust moves from living history to just history, it becomes even more important to take the time to remember the victims and pay tribute to the survivors.